This is a stunning jug. 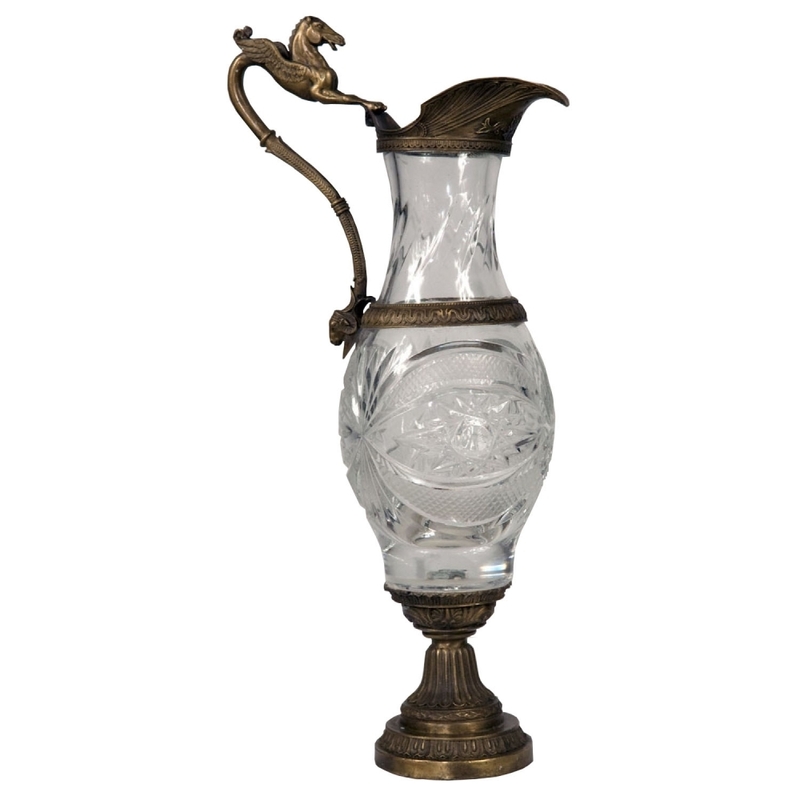 It has bronze detailing along with a horse for a handle.The glass is also highly detailed along the jug. This is a very original and unique piece, it is an incredibly intricate piece.